Photo courtesy of Eaton PTO Facebook. 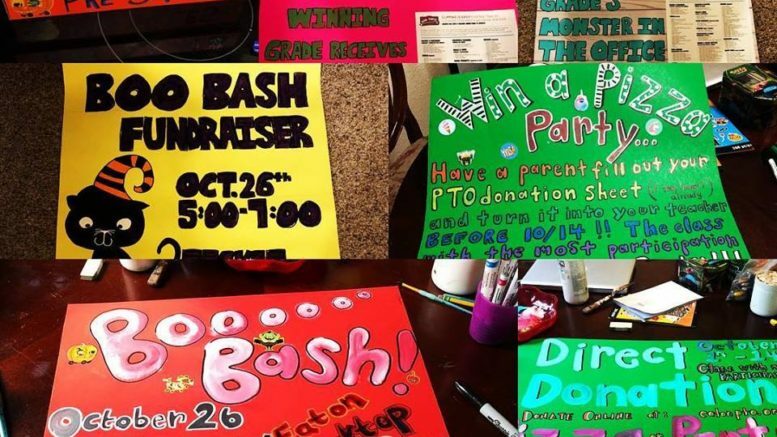 The Eaton Elementary PTO is hosting a Halloween themed fundraiser, Boo Bash, on Friday, Oct. 26 from 5 p.m. to 7 p.m. at Eaton Elementary School, 20220 Suisun Drive. The cost for admission is $5 per child over the age of 5 and free for adults. Fifteen percent of the proceeds will go to Eaton’s PTO fund. Children and families of all ages are encouraged to come in costume and enjoy a photo booth, a black-light dance party, a pumpkin patch and exciting games. Visitors can also get a temporary tattoo and their face painted. There will also be a Mister Softee ice cream truck and a taco truck. The Boo Bash will also have a “Trunk-or-Treat,” beginning at 6:30 p.m. Youngsters can stop at cars with decorated trunks and ask for candy and mingle with kids and families. Contact sharma_sonia@cusdk8.org for event details or send a direct message to the Eaton PTO on Facebook or Instagram. Be the first to comment on "Fun and games for all ages at Eaton Elementary’s “Boo Bash”"